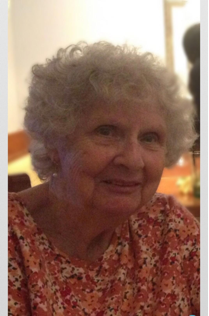 Frances A. Hurley, 88, of Braintree, went to heaven on Friday, September 28, 2018. She was surrounded by her loving husband, David and her family. She was the only child of the late Genevieve Cottoggio and step father, Pete Cottoggio. She was an Executive Assistant to the Vice President of the John Hancock Company for numerous years. After bringing up her family, she returned to work in the offices of Ryder Truck Rental. She left this job to devote her time and love as a special caregiver for her grandchildren, who brought an abundance of joy to her life. She is survived by her beloved husband, David of 55 years, her daughters Jo Ann Green and her husband Ed of Fl, Karen Grasso and her husband Rich of East Bridgewater, Patti Vannelli and her husband Joe of Braintree, Lisa Calkin and her husband Joe of Hanover, her sons Michael Wright and his wife Mary of Norfolk, Warren Wright and his wife JoAnn of Franklin, David Hurley Jr. and his wife Debbie of Braintree, her sister-in-law Mary Hurley of Quincy, her 20 grandchildren and her 25 great grandchildren. In her earlier years, she enjoyed traveling with her husband and family, crocheting, sewing and entertaining at her house. Frances made her family the center of her life. She took care of her husband and forever looked forward to holidays, when the entire family would be together. She was an avid reader and a Boston sports fan. As life slowed down, she looked forward to daily visits and phone calls from her family. She will be missed by all, but will be joined in heaven with those who have passed. We love her so much and know she will always be with us in our hearts A Funeral Mass will be held on Wednesday October 3 at 10:30 AM in St. Francis of Assisi Church 856 Washington St. Braintree. Relatives and friends are respectfully invited to visit the McMaster Funeral Home 86 Franklin St (Rt 37) Braintree Tuesday from 5-8 PM. Interment Braintree Cemetery. In lieu of flowers the family sincerely requests that donations in her name may be made to the Tribute Program St Jude Children’s Research Hospital 501 St. Jude Place Memphis TN 38105-1942 or the National Breast Cancer Foundation, Inc. 2600 Network Blvd. Suite 300 Frisco, TX 75034.